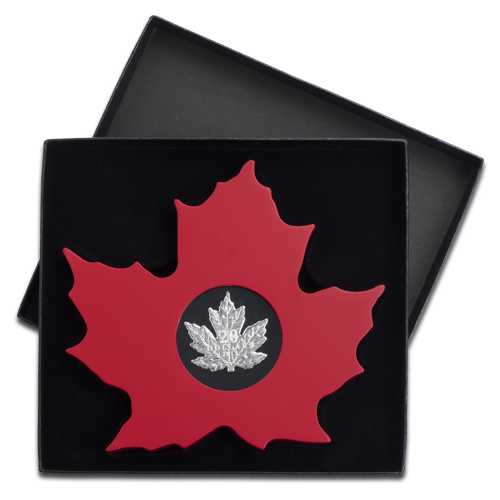 The 1 oz Cut Out Silver Maple Leaf from the Royal Canadian Mint is a truly outstanding product. First issued in 2015, this delightful coin is struck in the form of the maple leaf that grace's some of the mint's most famous products and which is an internationally recognisable symbol of Canada. A must-have piece that is essential for Canadian Maple fans and collectors everywhere - available now from coininvest.com. 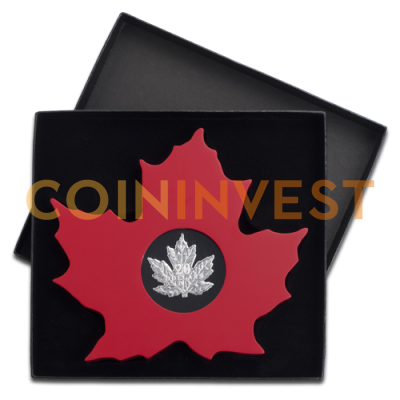 The leaf-shaped silver bullion coin is a world first that celebrates the national identity of Canada. Each 2015 Cut Out Silver Maple contains one troy ounce of .999 proof silver. The coin is legal tender with a face value of $20 and has a limited mintage of 15,000. An incredible bullion coin for collectors, the Silver Cut Out Maple Leaf depicts the details found on real maple leaves in stunning intensity. Why choose the Cut Out Silver Maple 2015? Collectors around the world were intrigued by the superb design features of the Silver Cut Out Maple. Demand for this iconic piece was incredibly high and the Royal Canadian Mint sold out in just two days. coininvest.com is delighted to present this exclusive silver coin. Buy Cut Out Silver Maple 2015 coins at the most competitive prices at coininvest.com. We ship all orders in a timely manner allowing you to enjoy your purchase as soon as possible.